Elections are now over and the political dust is settling down very fast. The country is now in the mood of working together and many people have come to the terms of the outcome of the elections and have already moved on with their normal lives. Many who think that the voting style was based mostly on ethnic blocs have also accepted the fate just as you cannot determine the direction of the wind that is blowing over the land. With all the voices in our nation there seems to be a voice that is shouting above all the rest, that of National Cohesion. Achieving a national cohesion is simply a theoretical move is we are not going to sow the seed of togetherness in our hearts and wait to yield the fruits of it thereafter. Ethnicity, tribalism whenever it is mentioned it sends some emotive feelings flying in our hearts and how we handle the feeling is what determines if we really are tribal or not. No one choose to be born in a particular tribe and I am sure God was wise enough as to deny us that choice. We only got to realize that we belong to our tribes when we were growing up. The tribe that you belong whether you are proud of it or not, is something entirely beyond your control. You simply have to accept it and move on with life. It is a fact that someone may or may not choose you as an employee, marriage partner, friend or whatever based on your tribe but why live in misery because of someone who undermines your value due to your tribe? Such people are the ones who are still pulling us behind in our fight against tribalism and the fight begins from individual level. But again you alone have to ask yourself, what tribal values am I still holding on to (Cultures like Female Genital Mutilation, etc) that many not endear me to someone of another tribe that I don’t belong? Do you realize that some cultural values are the ones that make people view you as tribal or not? Do you ever realize that certain tribal slogans are enough to make you an enemy of someone from a different tribe? Working towards eliminating those cultural differences that are distinctive marks of certain tribes is one of the surest ways to overcome tribalism. Refrain as much as possible from tribal references e.g. Wewe Kikuyu, Wewe Jaluo, etc. These simple terms are not so welcome to most people. Kenyans have complicated politics. Tribal blocs do exist when it comes to politics but again, the fact that some political figure comes from your tribe should not make you see other tribes as inferior. Political leaders should be viewed as belonging to Kenyans NOT to (put a tribe name here!). When it comes to sheer numbers of tribes in determining the outcome of voting, there is little that can be done since remember you only found yourself belong to your tribe. The best thing you can do is to work towards bringing out the best out of you regardless of the tribe and working with the politicians that are in power regardless of their tribes. The goal to success as a nation starts with individuals at the lowest level. Being diligent will work for everyone regardless of where you come from. We need to encourage each other to see the politicians as working for a common goal for all Kenyans not for specific regions or tribes. Unity calls for togetherness regardless of where we come from. Living peacefully with those near you will encourage you to start seeing them as brothers and sisters regardless of their political disposition or tribes. 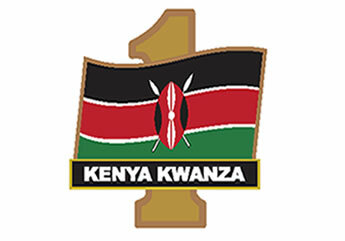 Let us all work towards uniting Kenyans. As of now ask yourself, what efforts am I putting towards enhancing national cohesion?